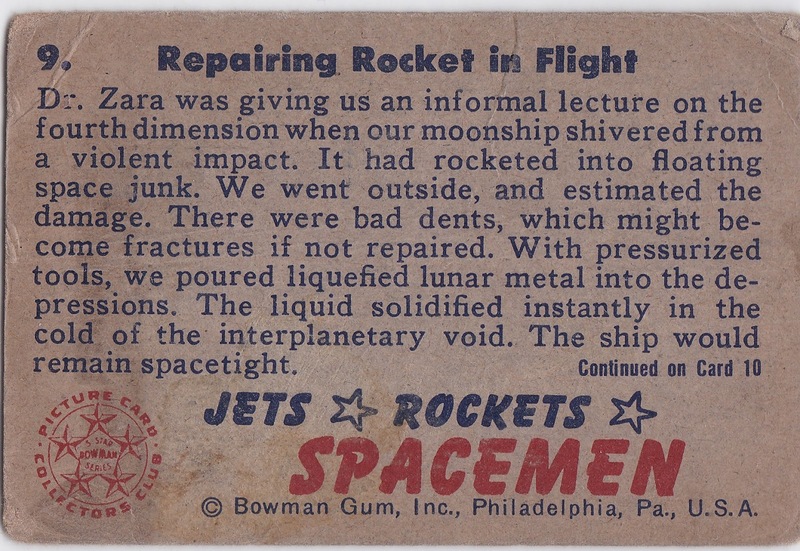 Heartbreaking Cards of Staggering Genius: What's More American Than Jets, Rockets, and Spacemen? What's More American Than Jets, Rockets, and Spacemen? 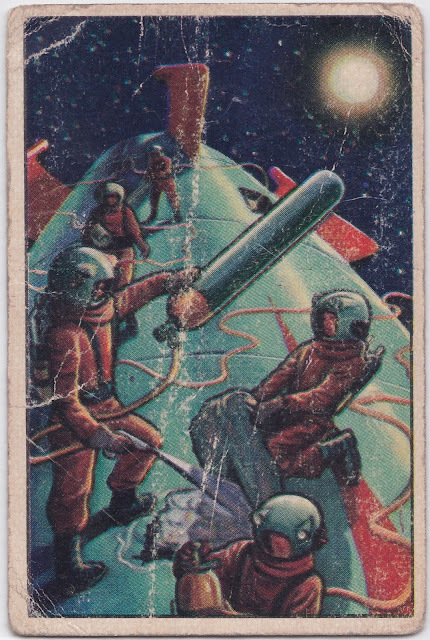 I recently was able to finally add my first card to my collection from the 1951 Bowman Jets, Rockets, and Spacemen set. I like to think of this as Bowman's version of the Mars Attacks set as it deals with the outer space and aliens and is an equally hard set to build. 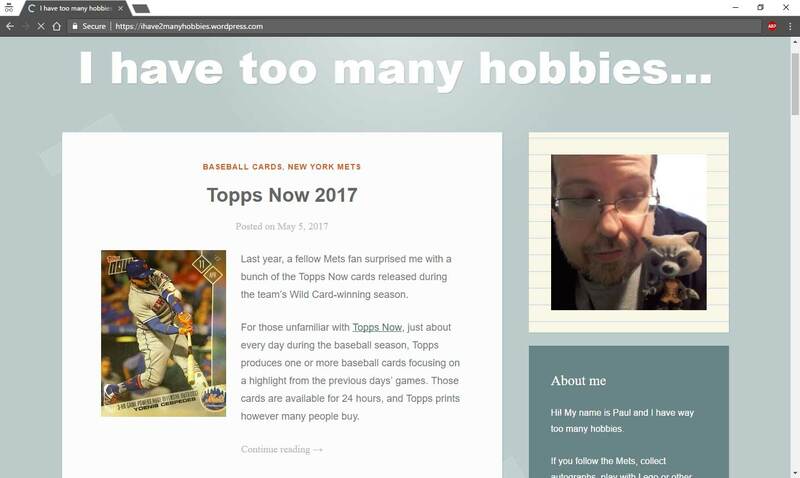 Shop for professionally graded Jets, Rockets, and Spacemen cards on eBay. The set follows the adventures of a rocket ship called 6X52 and over the course of the card storyline they get a new ship 6X53. 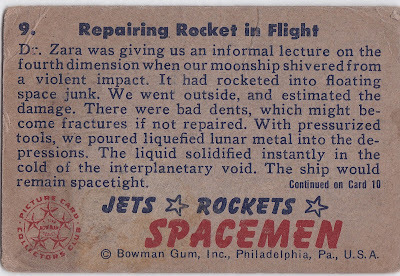 Dr. Zara and Captain Argo are the main characters and my card (which is #9) tells the story of the 6X52 ship that needs repairs after it ran into some space debris. 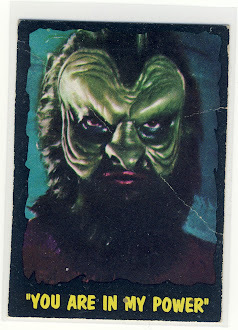 The set was released over three series with a full checklist of 108 cards. As is usually the case, the first series is the most available to collectors. I was able to pick this up up for a few bucks from COMC.com. Cool card with some great character.